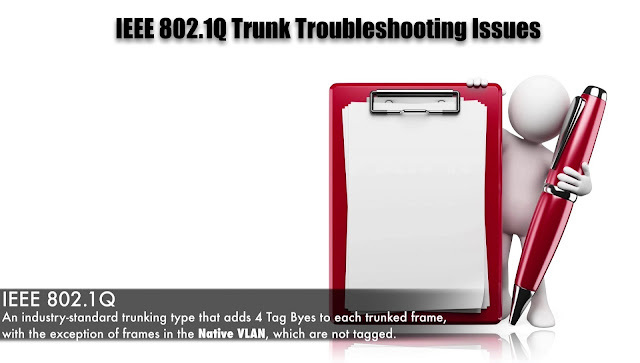 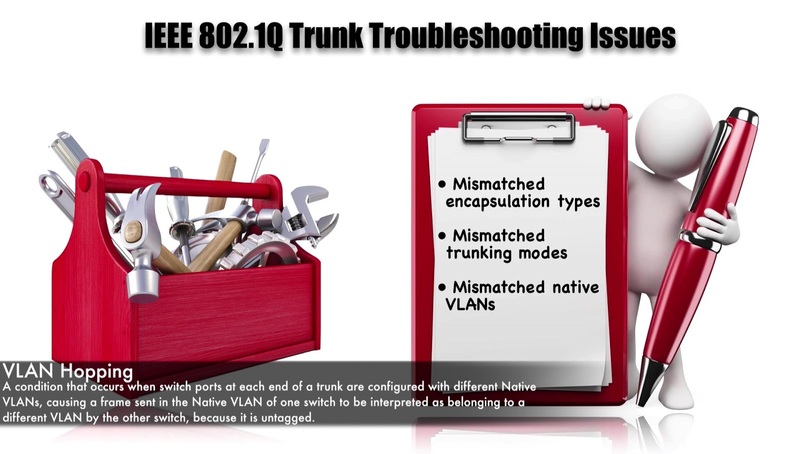 DOT1Q Trunk add 4 Tag Bytes to frame and those Tag Bytes can identify what Vlan a frame associated with it, there is an exception to that though and the exception is the Native Vlan, a Native Vlan is a Vlan that we can designate on a Trunk as being Untagged, frame that in Native Vlan do not get a tagged, let’s take a movement and talk about some of the common troubleshooting issues that might arise as were we following the path from one Switch to another Switch, Switches are often interconnected with Trunks because Trunks can carry traffic for multiple Vlans. 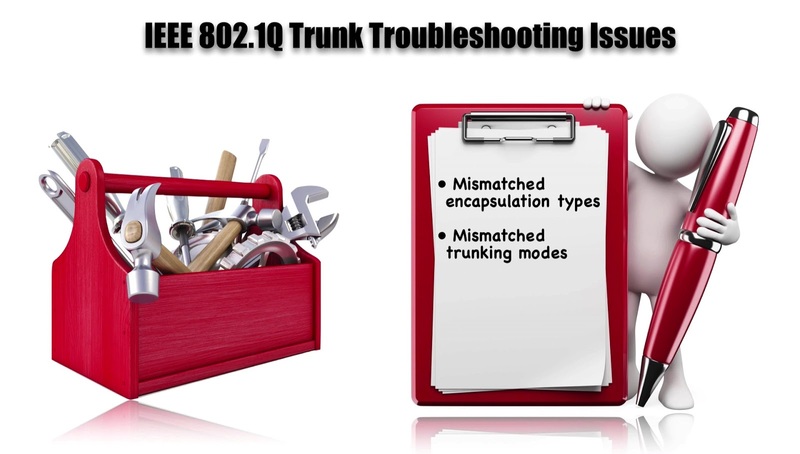 First up we might have mismatched Encapsulation type on each end of the frame, one end of the Trunk might be set to DOT1Q the other end might be set to ISL, that’s not gonna work, we might have Mismatched Trunk Modes in each end of the Trunk. 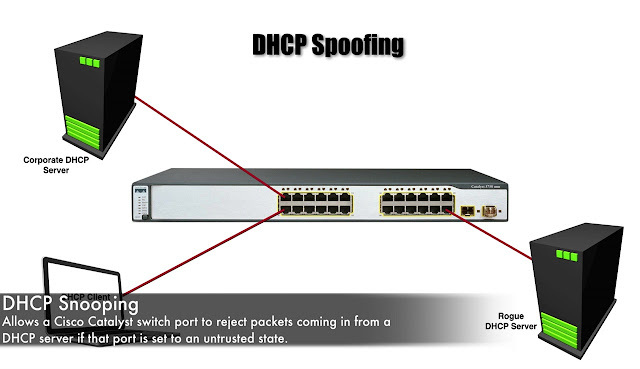 Now the we reviewed some of the common troubleshooting targets for a DOT1Q trunk let’s go Switch interfaces and tackle the Trouble Ticket dealing with DOT1Q Trunk, let’s assume that we have a Trouble Ticket. 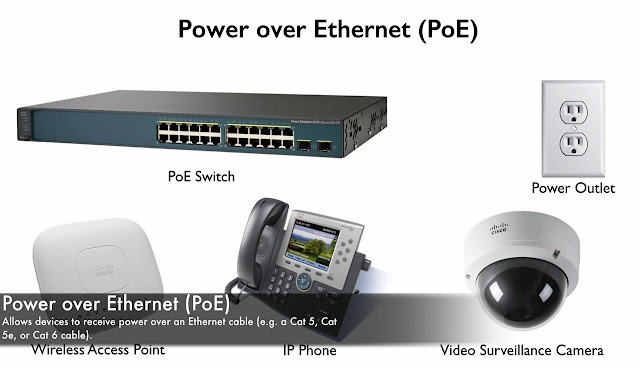 Here fastetherent 0/3 we are Trunk our Mode is Auto but that the valid combination notice, the encapsulation is Negotiate(N)-802.1Q, we are Trunking let’s imagine that we told that PC1 still not get out to the rest of the network. 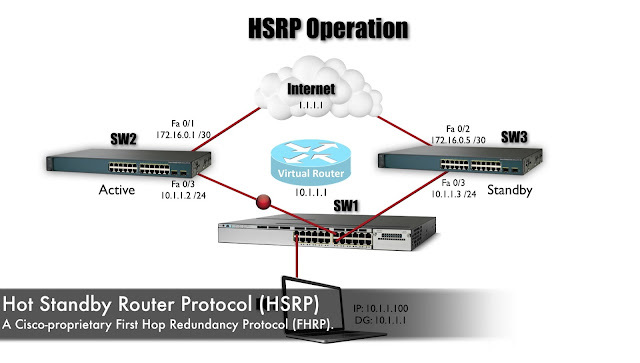 Did you notice that here on Switch SW1 we have list of Vlans that are allowed on this Trunk, we are allowing Vlans 100 and 200, PC1 its belong to Vlan 300 do we have the same output on Switch Sw2? 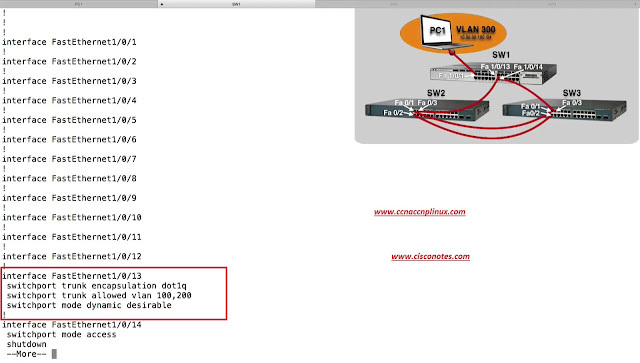 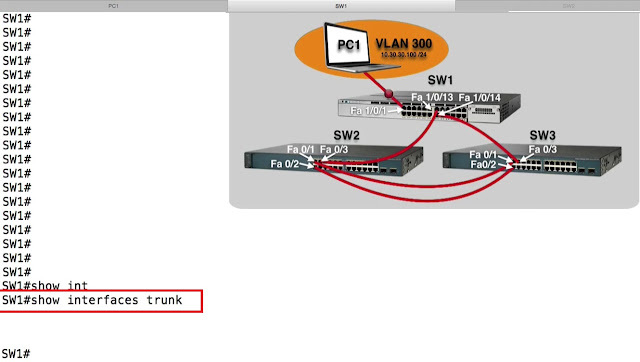 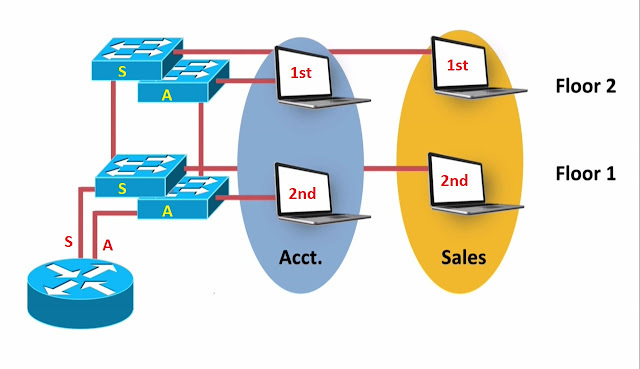 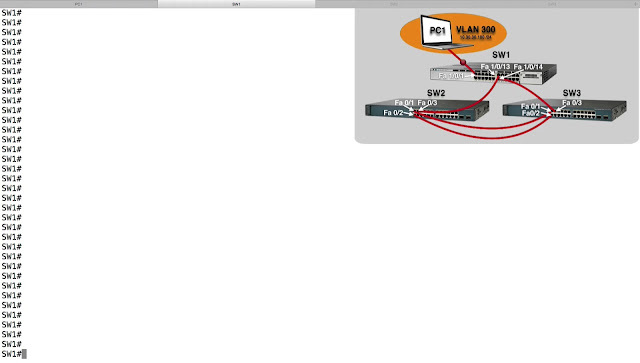 No Switch Sw2 says we allow all the Vlans this tell that we must be doing some Vlan Pruning on that Trunk on Switch SW1, let’s look at the Configuration and see exactly what we did.